Criminal Law, Family Law, Civil Litigation, and Personal Injury. Scott McIntosh brings unique experience and a diverse educational background to Lewis McIntosh & Teare, LLC. Scott is admitted to the Bar of the Supreme Court of Pennsylvania, the United States District Court for the Eastern District of Pennsylvania, and the United States Supreme Court. He concentrates his practice primarily on criminal, family and personal injury law. Scott is a trial attorney. His entire practice focuses on litigation. He thrives in the adversarial setting of a court room, obtaining favorable verdicts and outcomes for his clients. Scott meticulously stays well-informed in changes in the law, and his secrets to success are diligent preparation and resourceful problem-solving. Before law school, Scott spent over seven years serving the community as a Montgomery County Probation & Parole Officer, where he specialized in intensive supervision, working in Montgomery County’s Drug Treatment Court program where he tirelessly worked to improve the quality of lives and promote public safety. Few other lawyers in this area have seen the law from both sides, and for this reason Scott’s unique perspective makes the process quicker and easier, with more favorable outcomes for his clients. Scott graduated from Widener University School of Law in 2009 ranked near the top of his class. There, he honed his trial advocacy skills and had an article published in Suffolk University Law School’s Journal of Health & Biomedical Law. 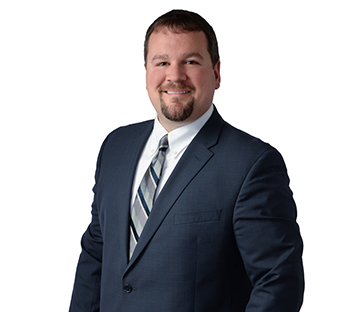 In addition to his government service and legal training, Scott has an MBA from West Chester University, giving him the business acumen, well-rounded education and distinct ability to serve his clients. Scott’s passion for justice and commitment to serving the community began at Northeastern University in Boston, where he received his Bachelor’s degree in Criminal Justice in 2001. Scott is an active member of the Montgomery Bar Association and is also a member of the Pennsylvania and American Bar Associations. Scott volunteers his time as a Pro Bono Attorney for the Montgomery Child Advocacy Project, representing children in abuse and neglect cases.